ATLANTA — Atlanta leaders say they're stepping up efforts this summer to battle violent crime and murders, which are on the rise this year. There had been 57 homicides in Atlanta as of Wednesday, compared to 44 by the same time last year, The Atlanta Journal-Constitution reported. That means Atlanta's homicide total could approach or eclipse 100 by the end of 2016. There have been 20 homicides in Chattanooga so far this year, compared to 11 at this time last year. 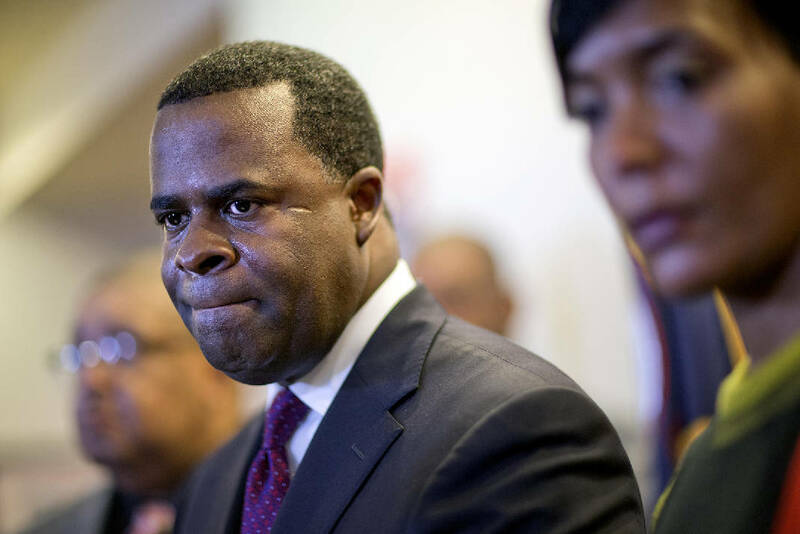 Atlanta Mayor Kasim Reed said the city has never recorded 100 homicides in any year during his tenure as the city's mayor. "We haven't had more than 100 murders since I have been in office, but we saw a spike," Reed said at a recent news conference on crime reduction. "We are seeing an increase in violence across America. Atlanta is not immune to that violence," Reed added. Reed made the comments at a news conference to unveil details of the city's "Summer Operation Action Plan." It involves efforts to take guns off Atlanta's streets and target violent crime in in 33 neighborhoods. Fifty of this year's homicides in Atlanta were the result of gunfire, Atlanta Police Chief George Turner said. The homicide rate is on the rise, despite overall crime in Atlanta being down 4 percent, authorities said. "But we see this turn in violence and increase in guns," Turner said. "That is what this all about. Every resource we have will be available to stop the violence that we see trending. We have to take more guns off the streets." Turner said 800 guns, mostly stolen, have been taken off the streets this year. But he said police aim to take more off the streets. The police department's plans include "Operation Whiplash," which calls for creation of a task force that Reed said would "dramatically increase resources to respond and investigate gun-related violent crime in our city," the Atlanta newspaper reported. * Targeting 33 "challenging and crime-ridden" neighborhoods in Atlanta. * Assigning 45 uniformed officers to patrol targeted areas with an emphasis on gun-related violent crimes. An additional 20 uniformed officers will assist in gathering intelligence and addressing community concerns. * Assigning six Special Weapons And Tactics (SWAT) officers, when not on SWAT calls, to assist with traffic enforcement. During traffic stops, officers often come across guns, drugs and felons wanted on warrants. * Coordinating with state and federal agencies, as well as local agencies like code enforcement and the fire department. Reed said creation of the task force should reduce the number of shooting incidents by 10 percent, while increasing gun seizures by 20 percent, according to police officials and data. "It's a vigorous and detailed plan," Reed said. "But it can be simply summed up: It's all hands on deck."